Even though the Flathead Ranger Station burned down a few years ago, this hike is still a wonderful stroll. This trail is an old road, so the travel is nice, wide, and easy. The first part of the hike is in the trees, but that quickly gives way to the open burned area. This is a great place to view wildflowers, birds, and occasional larger mammals. You can hear the Middle Fork Flathead River, but won’t see it until right before the location of the old ranger station. 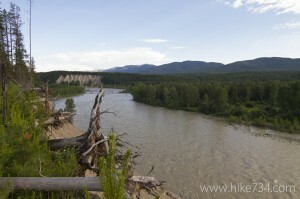 Once there, you will be able to see that river merging with the North Fork Flathead River and Blankenship Bridge. It is a wonderful destination with beautiful views. The trail does continue past the Ranger station, but becomes a Class 3* trail. Additionally, this is one of the few trails where mountain bikes are permitted. 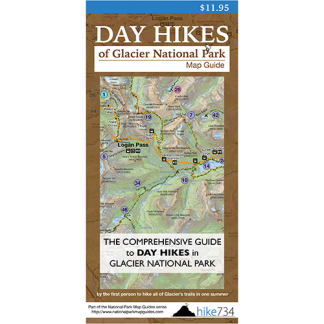 Trailhead: Go 0.5 miles past the West Entrance and turn left on the road for Apgar Lookout. Continue over the bridge and find the trailhead on the left side of the road before the road makes a sharp right.